﻿ Amrap's AirIt | Australian Music Radio Airplay Project :: Ethnic Multicultural :: Dyan Tai - C.O.O.L. Amrap's AirIt | Australian Music Radio Airplay Project :: Ethnic Multicultural :: Dyan Tai - C.O.O.L. 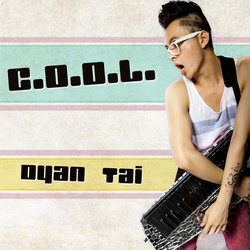 Malaysian-born Dyan Tai is an up and coming indie electropop singer/songwriter with a knack for cool. Now based in Sydney, Dyan has the Rexona King of Cool title under his belt (2007) and has since released an EP, a follow-up single "C.O.O.L." and completed an Australia-wide tour. The title track from his EP, "Why Sydney?" won the inaugural Sydneyvision Song Contest and Best Music Video for the Citylove music Song Competition. As a result, he was featured on the cover of Central Mag, SX and iStudent Magazine and performed the song live on MIX106.5FM. Dyan also supported Jessica Mauboy and Pete Wentz at the Blackberry Pearl Block Party, performed at Brisbane’s 2HIGH Music Festival and was a guest-performer at the TASPRIDE Finale party. He also headlined the sold-out finale night of Jurassic Lounge’s winter season at the Australian Museum and was shortlisted as one of the top 16 finalists of the 2011's Singer Songwriter Series which was broadcasted on TVS. Song written about embracing your inner geek and be cool no matter you're a try hard hipster, flaming gay, an ethnic stereotype - can still be cool. Taken From The Release Titled C.O.O.L.